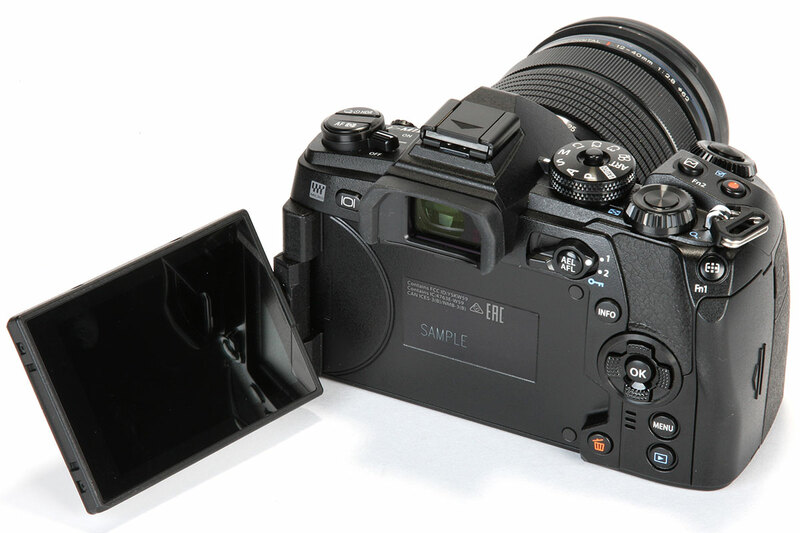 On paper, the E-M1 II uses much the same viewfinder and screen as last year’s OM-D E-M5 II, a 2.36-million-dot EVF with 0.74x equivalent magnification and a 1.037-million-dot fully articulated touchscreen. The live view feed operates at 120fps with a 6ms lag time, which may not quite be the light speed of an optical finder, but is as near as makes no practical difference. As with other recent Olympus cameras, you can have the EVF preview all of your exposure and image processing settings, including colour mode and white balance. Or, if you prefer, you can engage ‘Simulated Optical Viewfinder’ mode that switches all this off, and does a decent job of mimicking a traditional SLR viewfinder. The fully articulated screen is excellent, and brings greater shooting flexibility than the E-M1’s tilt-only screen, particularly when shooting in portrait format. The main disadvantage is that it’s slower to use, and might also cause problems for photographers who like to keep L-brackets on the camera for tripod work.